I992 1873 - 1945 (72 years) Has 16 ancestors and 42 descendants in this family tree. 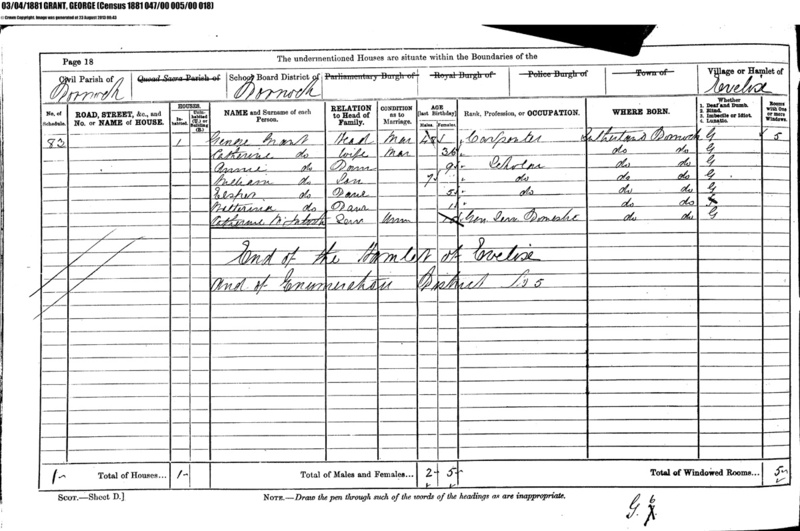 [S133] Grant-McDonald Family, Louisa Chamberlain (n, (Anecdotal). 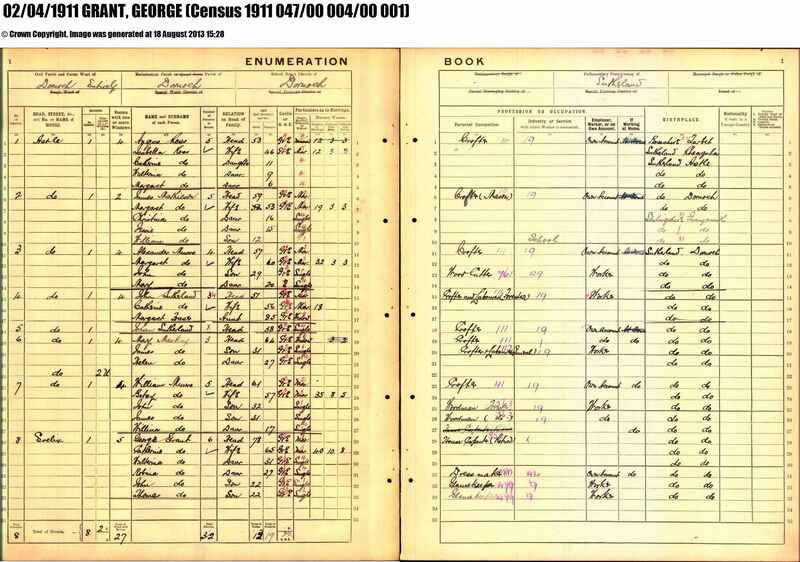 [S137] Scottish Census - 1901, General Record Office for Scotland, Clashmore Wood, Dornoch. 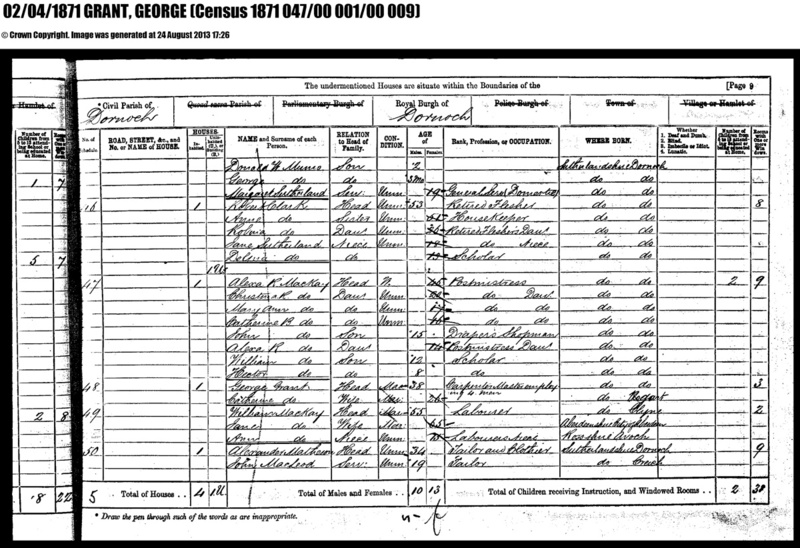 [S139] Scottish Census - 1891, General Record Office for Scotland, Evelix Cottage, Dornoch, SUT. [S130] Monumental Inscription, Dornoch Cemetery. 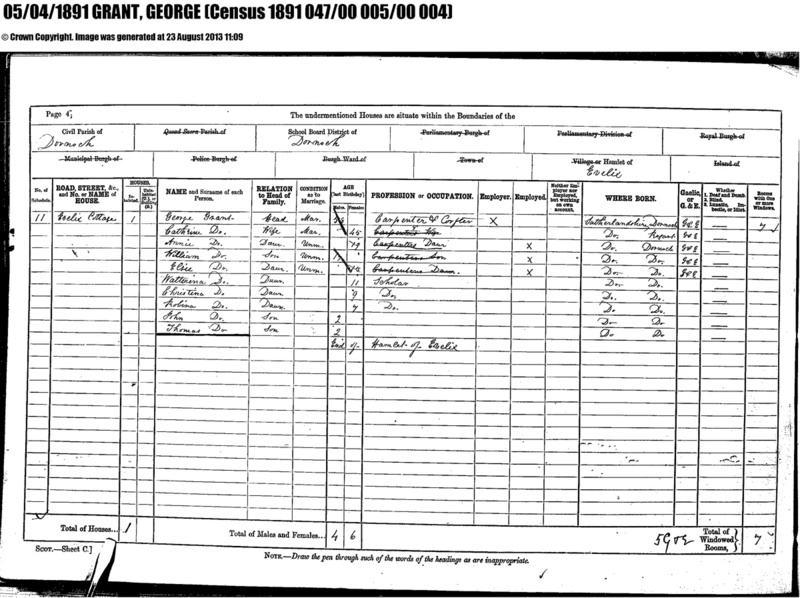 [S136] Scottish Census - 1881, General Record Office for Scotland, Dornoch. [S134] Obituary, ([copy on file]). [S140] Scottish Census - 1871, General Record Office for Scotland, Bank Buildings, Dornoch, SUT. 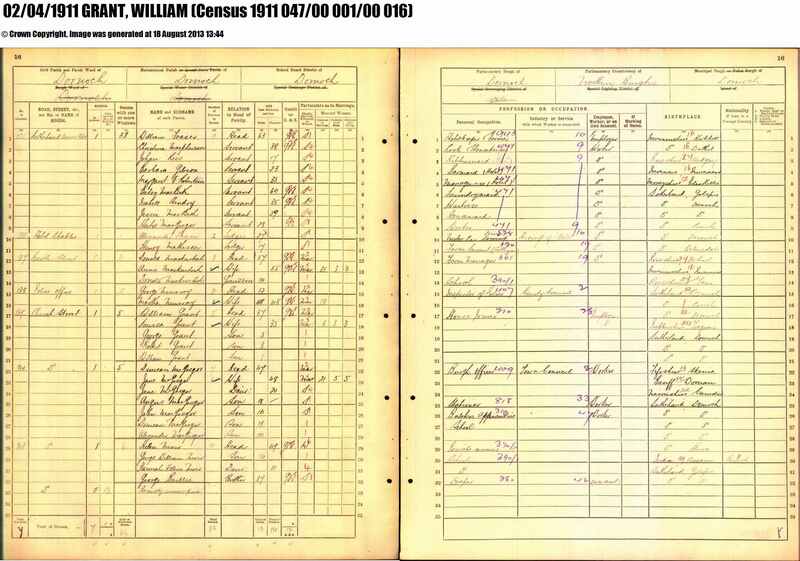 [S136] Scottish Census - 1881, General Record Office for Scotland, Evelix Cottage, Dornoch. 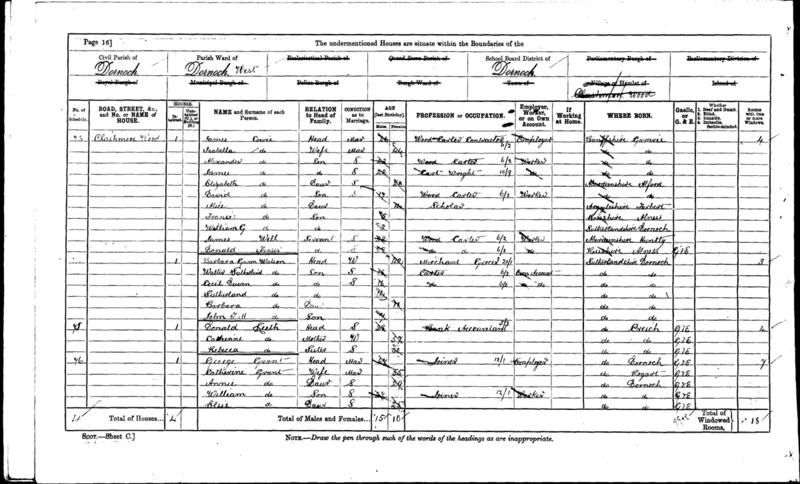 [S139] Scottish Census - 1891, General Record Office for Scotland, Evelix Cottage, Dornoch. [S469] Scottish Census - 1911, Evelix Cottage, Dornoch. 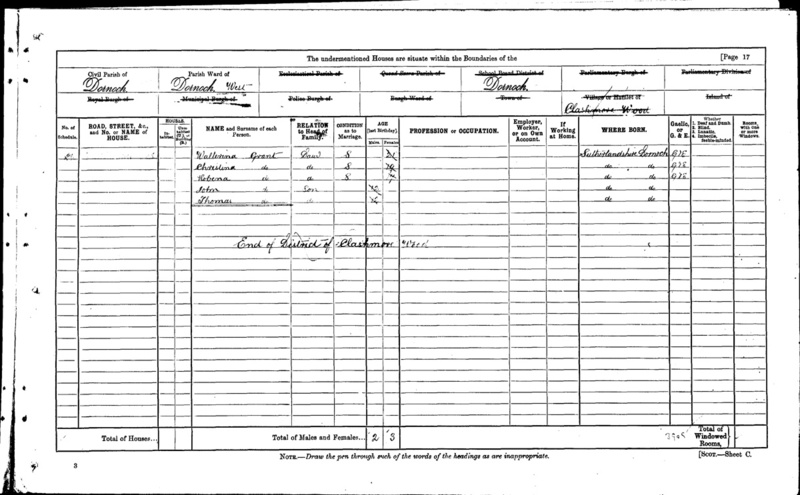 [S469] Scottish Census - 1911. [S15] Birth Certificate, (Copy on file), [of daughter Louisa].